If you are looking for a good teen, ya lyrical novel this one is one I would definitely recommend. 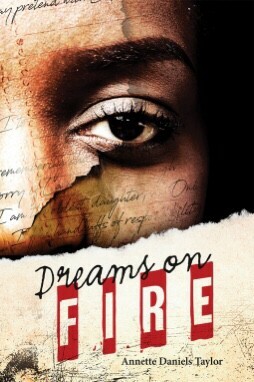 Shanequa has dreams of higher education, but with a Father whose incarcerated father and a drug addicted Mother the Dream feels more like a fantasy. Shanequa is given the chance to go to a private prep school, which makes her feel like maybe her streams have a chance of coming true. She finds it easier to lie to her new friends than to tell them about what is really going on with her family. Having her lies find out cause Shanequa to react in a blind rage. Has she ruined her chance forever or will Shanequa be given a second chance? I give Dreams on Fire four out of five stars!